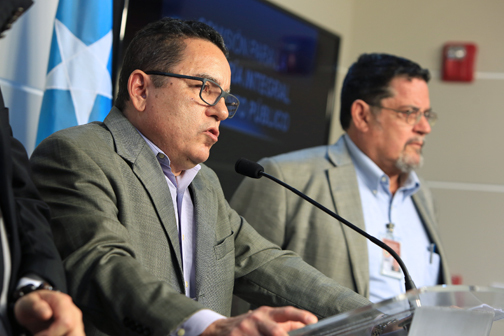 The Puerto Rico Commission for the Comprehensive Audit of the Public Credit sent a letter Monday to the Financial Oversight and Management Board for Puerto Rico outlining its work so far, including two preliminary audits that it hopes the federally appointed body will review. In the letter, Commission President Roberto Pagán-Rodríguez explained that although the Commonwealth has not provided full funding of the Commission’s work, it has begun its work with the help of different parties. To date, the Commission has agreed to publish two preliminary survey reports. These preliminary reports do not comport, nor are they meant to comport, to Yellow Book standards, or reach any conclusions about Puerto Rico’s public sector debt. Instead, they are reports meant to help the Commission focus its work once it obtains the resources needed to hire staff and independent accounting firms. I have included copies of these reports with this letter. The purpose of the Commission is to execute an audit of the last 40 years of Puerto Rico’s debt to determine whether all parties involved complied with relevant legal norms, and to provide transparency to the process that the Government of Puerto Rico has employed to obtain access to the capital markets, the Commission said in the letter sent to the Board. The 17-member Commission made up of academics, representatives from civil society (including the financial sector), and elected officials funds its operations from government appropriations. However, the body operates with complete administrative autonomy and legal independence from the central government. So far, the Commission has received $400,000 in funding, representing 7 percent of the amount required to complete an audit that conforms to U.S. Government Accountability Office Government Auditing Standards (“Yellow Book standards”) in an efficient manner, he said. “Our hope is that the Commission can execute a complete audit that will comply with Yellow Book standards and withstand third-party scrutiny with adequate funding,” Pagán-Rodríguez said. “I look forward to carrying out the important work before the Commission in as complete and expeditious a matter as possible,” he added. “And for that reason gave the Oversight Board and Commonwealth government the ability to review and consider any reports that the Commission issues. Sec. 413(1) of PROMESA also provides that nothing in PROMESA shall prevent the Commission from filing its reports,” Pagán-Rodríguez concluded. Hey Buddy!, I found this information for you: "P.R. Audit Commission makes formal approach to Board". Here is the website link: https://newsismybusiness.com/commission-formal-approach/. Thank you.